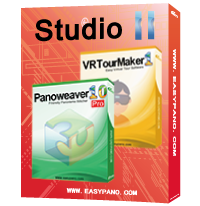 Panoweaver is an easy-to-use Photo Stitching Software. Panoweaver 10 can stitch multiple rows of images and supports all lenses, including fisheyes. ToTake 360 Photos and Stitch Photos together are simple by Panoweaver. You can make Spherical Panoramas, Gigapixel Panoramas, HDR Panoramas, and publish Little Planet or HTML5, and View them in PCs, mobile phones, tablets and etc. Tourweaver is a recognized leader in Interactive 360 Panoramic Virtual Tours Software. Tourweaver 7 is the most impressive VirtualTour Software Solution with rich features, and you’re able to offer Virtual Tours to local business owners and Real Estate professionals. 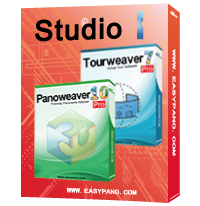 Panoweaver is an easy-to-use Photo Stitching Software. Panoweaver 10 can stitch multiple rows of images and supports all lenses, including fisheyes. To Take 360 Photos and Stitch Photos together are simple by Panoweaver. You can make Spherical Panoramas, Gigapixel Panoramas, HDR Panoramas, and publish Little Planet or HTML5, and View them in PCs, mobile phones, tablets and etc. VRTourMaker helps you to design playing interface and button arrangement,so you can Publish once, view anywhere.VRTourMaker has a powerful and immersive VR Viewer. Its self-adaptability allows users to comfortably view Virtual Tours with different browsers and different resolutions.